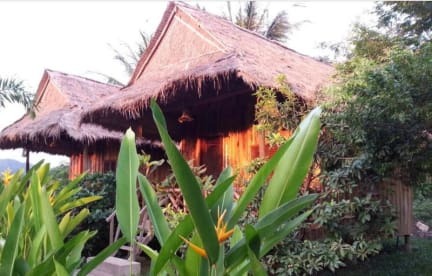 Bird of Paradise Bungalows is a small boutique resort of 8 bungalows, 5 traditional timber Khmer that are fan cooled, and 3 superior brick built bungalows with air-con, set in a beautiful tropical garden. All have a private balcony, cable TV, en-suite bathroom with shower. Free wi-fi and use of bicycles. Bungalows serviced daily. Front desk offers guests on site laundry service, tours, ticketing and fixed price taxi.